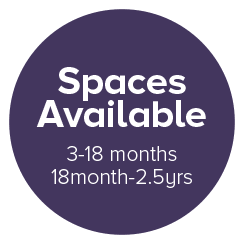 Woodley Gardens Day Nursery is a private run nursery, available for full and part time places. We are open from the hours of 8 a.m until 6 pm, 5 days a week. Woodley Gardens Day Nursery creates a healthy, happy environment for your children to learn to explore and grow. We support this process with policies that have been put in place to support and protect your children whilst they are in our care.